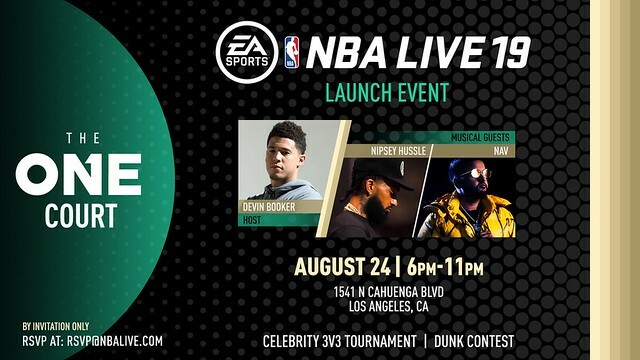 Hosted by Devin Booker and featuring musical guests Nipsey Hussle and Nav, the party will take place from 6-11 PM PT with at least some of the event livestreamed. The Court Battles reveal will take place at 9 PM PT. Catch the livestream here at TGT and share the link with friends and family. The NBA Twitch livestream will take place from 7-10 PT.